Today, many parents are encouraging their children to play golf and for good reason. Junior golf is one of the fastest growing youth sports in the world. The sport will not only encourage your child to spend time outdoors, but it will teach them important life lessons along the way. 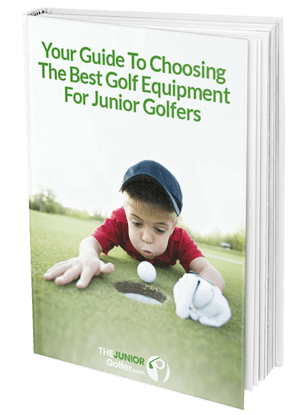 This post has all the information you need for getting juniors into golf. Junior golf is an excellent way to teach your child about etiquette, patience, and the benefits of hard work. It promotes healthy competition in a safe environment and is a game that can be played competitively, no matter your skill level, your whole life. This is a general guide geared to parents who are thinking of introducing their young children to golf. The individual posts on this site go into more detail and are more geared towards young players and their parents already involved in the sport, playing competitions and wanting to improve and grow in the game. One of the best the best things about golf is that it is a life-time sport and one that you can play competitively regardless of your talent and skill level. Many clubs have junior programs these days and most centers have competitions you can play at any level. Junior golf encourages healthy competition in a beautiful outdoor setting. It promotes hand-eye co-ordination, concentration and flexibility. It is the ultimate mind-game and rewards clear minds and positive attitudes. The golf course is a very positive environment and one of the safest places for a junior to spend time learning a new skill. Your child will likely be under the watch of an instructor who will act as their mentor and coach. Unlike other sports such as basketball and football, there is no roughhousing which in turn minimizes the chances of accidents and injuries. The golf ball may not always land where your child wants. Practicing golf instills the importance of personal responsibility. It will encourage your child to work towards self-improvement instead of blaming their teammates for what happens. The life lessons your child will learn during golf will also reflect in their personality while performing day to day activities. Golf is a fun sport that the entire family can enjoy. Use the time to bond with your child and catch up on what's going on in their lives. It's important you show enthusiasm because your child may lose interest if they're unable to view golf as a ‘fun sport.' Don't pressurize your child and focus more on making this a fun experience than achieving a specific score. Golf is possibly the best vehicle to spend quality time with your child as they older and is also a fantastic hobby around which to build a special family vacation. Golf courses are often found in some of the most beautiful real estate on earth. The essence of a golf course is its natural setting and how it is designed to flow around woods, sand, rivers, coastlines and grasslands. Woodland creatures and birdlife are often abundant and depending on where you might be playing it is quite possible to come across alligators, wild turkey, birds of prey and deer. Being positive and relaxed on a golf course is pivotal to playing well. Appreciating the natural beauty around you helps to settle the mind and is conducive to an enjoyable round. The cornerstone of golf is integrity. Players are expected to know the rules and play by them. It is the ultimate gentleman's game where the outcome is 100% in the hands of the player. Being out on the golf course is the perfect place to learn about yourself and others and the core values which breed success in life like honesty, integrity, sportsmanship, respect, confidence, responsibility, perseverance, courtesy and judgement. ​The best way to introduce a youngster to golf is with one or two junior clubs, preferably a putter and a wedge that they can play around with. They can have some fun in the backyard with a junior wedge and at a local golf range with the wedge as well as on golf course putting green with the putter and a few balls. We recommend plastic or foam balls for the backyard (or even indoors for cold weather locations). Play some putting games with your junior on the local putting green (or even indoors on a carpeted surface) and even better involve one or more of their friends. There are a few good options for beginner irons and wedges. We like the U.S.Kids "yard club" which is specifically designed as a first golf club for kids. ​They are super-lightweight and have an oversize aluminum club head which provides more hitting area - think easier.. The grip is molded into a training grip to ensure proper hand position and promote natural swing development. The are designed to hit both regular and plastic or foam "limited flight" balls. The right length and the light weight ensures that bad habits are not formed at an early age. Once you have spent some time on the range and practice green you will be ready to actually play some holes with your junior. We do not recommend starting with a full round or even with 9 holes. We recommend you start with a few holes (e.g. playing 3 holes) and you will probably spend the first day chasing your children around the course and hitting many shots, but that is perfectly fine (note that you'll have an easier time with older kids). Most importantly remember to keep it fun and also a little competitive as juniors love to keep score and compete! However, once your child learns more about the game and plays more, they will focus more on the rules and techniques of golf. If you're a fan of golf, your child has probably grown up watching you play. You can introduce your child to playing on a golf course at an age as young as three or four (start with a small pitch and putt course if you can). While there are junior golf tournaments starting from as young as age 5, do not worry if your junior only picks up golf later. Most juniors start getting competitive and improving fast in the first few years after starting and eventually the skill levels tend to even out over time. The ages of 7 to 10 are an ideal age to introduce golf to your junior as they generally will developed the motor skills necessary by then to actually enjoy playing a round of golf, either with their parents, friends or in junior golf tournaments. For a great look inside the world of junior golf tournaments watch the move "The Short Game" by Sony Pictures, about the top 7 year old juniors in the world competing for the Junior World Championships held annually by U.S. Kids in Pinehurst, NC. Another important factor is to select the best time to take your junior to the golf course. Your junior may not be eager to walk at 7 AM on a Saturday! Do not force the game or make it unpleasant as you will inadvertently discourage or put them off playing. The best time for juniors to be on the range and especially on the course is when it is less busy and temperatures are comfortable. A great time to take your junior to the course to play or practice is late afternoon or evening when the course is less busy. Ask your local golf course manager if you can walk a few holes with your junior instead of paying for a full 9 holes. Some local courses also will offer a junior free rate at certain times of the day. This task should be first on your list because it will determine how much your child will enjoy the game. After all, it is neither wise nor realistic for your child to play the same yardage as yourself. A good rule of thumb is to measure how far you child can hit a mid iron (e.g. an 8 iron) and use that as a basis for determining hole lengths. For example, if they can hit an 8 iron 100 yards then your par 3 is 100 yards, par 4 is 200 yards and par 5 is 300 yards. This gives them the opportunity to reach the green and two putt for a par. If your junior is just starting out then make the holes even shorter as they will likely not hit it straight or far on most shots. Occasionally have a much shorter par 4 for them to have the chance to drive the green. Juniors really enjoy trying to do this! Below are the recommended course yardages for US Kids local tours. These are suitable for juniors that are able to play golf at a reasonable level. If your juniors is just starting out play the holes shorter than these. Note that the distance in the chart above are the USKids local tour recommended distances. For advanced juniors please refer to the USKids distances for regional tournaments and world championships here. Learning to manage your expectations is one of the most challenging aspects of being a parent, matters can become even more difficult when you take on the role of their teacher. If you're a golfer, you probably already have strong notions of what is right and wrong on the course. When the child is starting out keep it easy and happy. If they can't quite master the grip, it's alright. If their stance is pointing into the woods, that's ok too and a learning opportunity. Of course as they get older and have a coach working with them it will be more important for parents to help reinforce good form - but when the child is young and starting off, let them do it their way. Reinforce enjoyment of the game and explore the beauty, wildlife, hazards and shape of the golf course. Teach by example and keep it interesting and light hearted. Juniors are likely to face many problems regarding selecting the right equipment. Using a golf club that is too heavy or too stiff isn't going to help your child become a tournament player. Playing and practicing with a golf club that's too long, too heavy or too stiff can make it difficult for young players to swing a good arc on a proper swing plane. A young player is likely to have trouble flighting the ball accurately with the right trajectory anyway, so using a stiff golf club that's too big will make things more much difficult and could result in bad swing simply due to the equipment. In general always start with clubs that are shorter and lighter than you think you need. Read more about golf equipment below. Before diving into the details, ensure that you have mastered the art of explaining things at the child's level. Better yet, be willing to kneel down to communicate and demonstrate what you are saying at their level and explain things to your child in the simplest ways possible. Young kids starting out have no interest in discussing ‘inside out path' or ‘wide arc" etc but will respond to being shown how to keep the face of the club open and swing through. For a young golfer starting out - communication will generally be more about action and demonstration than talk. Golf is a game that can be played all through life. It is popular because it incorporates physical activity, mental acuity and competition. It relies on integrity and is played out on a stage of some of the most beautiful real estate in the world. Starting kids off with the correct clubs is essential. The biggest mistake parents make, regardless of the age their kids start playing, is buying clubs that are too big. Clubs that are too long and heavy are guaranteed to be detrimental to the child's swing sequence off the bat and may take a long time to coach out of them. It never hurts to play with lighter and shorter clubs. Most kids start out with US Kids Ultra Lite clubs which are light and flexible. As junior golf is such a growing sport you will find many options available. Most young golfers will start off with US Kids golf clubs and will remain with them until 12 or 13 years old. Not only is a golf bag important for storing golf clubs and other equipment, but it will also help your child stay organized. Ensure you have purchased the right golf bag according to your child's age and size. There are many options out there, let your child have a say in color and decoration - if they like the look of their bag they will be more inclined to hang out on the practice range with it. A young junior golfer may not be able to carry around an adult-sized golf bag, so it's essential you spend ample amount of time using the best one. Su﻿n Mountain Golf Equipment are among the best in the market. They offer an extensive range of golf bags that are suitable for both kids and adults. For younger players they will need an even smaller bag to prevent their clubs from slipping through into the inside of the bag. This can be very frustrating and clubs that fall through into the bag can be very difficult to get out. If your junior's clubs are too small for their bags we recommend you find some old packaging foam (or you can buy a similar foam product) and stuff it down into the bag to prevent clubs from falling in. Whether you opt for a stand bag or or light weight single-strap version, a golf bag helps youngsters stay organized on the course. Not to mention, it is the ideal storage solution when you are walking around a crowded golf course on a hot Sunday afternoon and need your snacks, water, sunblock, phone etc.. Most bags feature dividers so that you can organize clubs according to your convenience. A good quality golf bag will easily be able to accommodate driver, woods, putter, and irons. Some bags feature a sleek and stylish design but are only able to hold the bare essentials your child will need on the course. Many golf bags also include zippered pouches and pockets that come in handy for storing pencils, wallets, golf balls, phones, sunblock and other small accessories. Investing in a junior golf bag that is sturdy enough for lots of travel but will still fit easily enough into the trunk of your car and in your house or garage is key. Golf bags have to stand up to a lot of physical impacts and even more so if you travel with them. A good quality bag should last at least a few years before anything breaks or rips. A junior golf bag is made using lightweight yet durable materials that will make it easier for your child to carry or transport their golf clubs to/from and around the course. Most junior golf bag models have a built in stand which makes it convenient to carry. It should also have enough storage for juniors to pack their favorite golf equipment with ease. If your child is playing tournament golf we highly recommend that you invest in a golf pushcart. A pushcart will make it easier for your child to push their golf bag around the course, which is important as most bags and equipment get rather heavy. Even if you caddy for your child, having a pushcart helps to alleviate back pressure and also means that you can carry heavier items during a tournament such as a cooler and snacks. Some older juniors (e.g. middle or high school age) do prefer to carry their bags and have an ultra lightweight bag for this purpose. From a golf push cart point of view there are many brands out there. We have tried a few and go back to the Clicgear which is light, folds easily, is maneuverable and extremely durable. Although golf tees are available in different lengths, in general the standard length tees are fine for juniors. The exception to this is if tees are extra long or the ground is extremely hard, in which case we recommend having some medium to short size tees. Juniors often have favorite tees and this seemingly small item can actually make the round more enjoyable for them and in tournaments can even have a relaxing or confidence boosting effect. Some tees even offer extra yards or less spin. If this makes a difference to a juniors confidence in hitting a shot then they are likely worth the cost of the tees. Junior golf clubs have come a long way now which means that parents and youngsters can now select from an extensive range of golf clubs. If you have a very young child, you do not want to start them off with a cut-down adult club. Rather buy a light weight junior low iron (e.g. 9 iron) or a pitching wedge. You can however cut down a putter for them to use as the weight does not play as much a part of the swing as with a full iron or wedge. You will have to buy a set of junior specific clubs as your child grows older. Fortunately, most leading golf manufacturers such as U.S. Kids Golf, Ping, Callaway and Cobra have created lines of clubs, specifically for juniors. U.S. Kids Golf and Flynn Golf are among the best in the market. Once your child is tall enough and strong enough they can transition into appropriately sized (length) adult clubs. This usually occurs anywhere from 11 to 13 years old. Before that the adult clubs are usually too heavy and can promote a bad swing plane which can become ingrained. When purchasing the right golf clubs, ensure you pay attention to length first. It's wise you invest in a product that suits your child's needs as he/she grows. It is normal for kids to grip down or choke down on the club, however, just make sure they don't have to bend down for the grip too much. Best junior golf clubs for juniors moving from kids to adult clubs (transition irons). Golf courses generally have strict rules on what can be worn on a golf course. The dress code is usually a collared shirt and golf shorts or pants (additionally, golf skirts or skorts for women). Dress codes typically apply to juniors and caddies too. Golf hats are helpful protection against the sun and advisable. Investing in a good pair of golf shoes for your junior is a good idea. A large range is available but pay attention to comfort. Golf is difficult enough as it is without having to be uncomfortable on your feet. Most leading brands offer quality junior golf shoes and whether you buy ones with spikes or spike-less they are specifically designed to offer traction. Special golf shoes/spikes are necessary for added traction and comfort on the course. It is a good idea, for the competitive junior, to have a few pairs of golf shoes including a pair of water-proof shoes for wet conditions. Read the following article for more information and our picks of the best junior golf shoes. The nature of the game is that you spend hours out on the golf course under the sun. A small tube of sunscreen in one of your golf bag's pockets is a good idea. Having bug spray on hand is recommended too. Golf balls range from softer to harder and are chosen to match a player’s swing speed. US Kids have 2 different balls, up to 70 mph swing and over 70 mph swing. A slower swing speed needs a softer compression ball and for a higher swing speed a harder ball is better suited. Different brands have different characteristics on ball flight and amount of spin produced. The Holy Grail for ball manufacturers is to create a ball that flies a long distance but will give a lot of spin around the green. A few small golf towels are worth the investment so that your child can clean the dirt off their golf clubs. This will prolong the life and effectiveness of the clubs. It is important to remain hydrated on a golf course and at the range. Most golf courses have water points on the course where you can fill a water bottle. A clean, refillable water bottle is important to keep in the golf bag. Golf gloves are important for maintaining an effective grip on your golf club and negating friction blisters. Having an extra pair in your bag is a good option in case the one you are wearing becomes damp or gets torn. Weather-proof gloves are helpful in rainy and cold weather. Tees are easily lost, broken and forgotten so it is always a good idea to have a good supply. The ﻿golf pouch is a great accessory to carry extra tees, ball markers and the like and clips easily to the golf bag. The world of junior golf is an exciting and fast growing one. It is a sport that will provide challenge, enjoyment and competition at all levels. It is one of the rare sports where responsibility for the game rests 100% on the player. This guide is geared mostly towards those parents with children brand new to golf. Parents already immersed in the junior golf world with juniors who play more competitively will benefit mostly from other sections on this website and posts geared towards more specific aspects of junior golf. Hopefully, this guide has been helpful. Please feel free to let us know what else you feel should be included. Check out the buyer's guide and remember, in the immortal words of one of golf's greats, Ben Hogan : the most important shot in golf is the next one. Good luck.